Starring Matt Damon, Emily Blunt and scores of known actors. This was a solid movie. Well acted. Well written. Extremely well filmed. The real credit though goes to the script and the overall concept by George Nolfi (The Bourne Ultimatum (2007), Oceans Twelve (2004). It may be funny to make the comparison, but I have not seen such a cool concept like this since The Borrowers in 1997. The question is whether there are other people or beings out there who are really orchestrating our lives or the ones responsible for always hiding our keys. I had my doubts before. Now, I am sure of it. 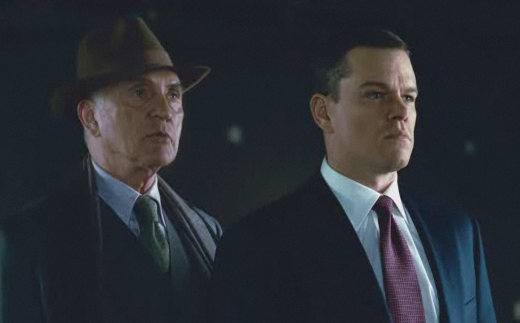 Norris does not take a direct warning from the Adjustment Bureau to forget Elise. The Bureau gets heavy, burns Elise’s card with her phone number and threatens to “reset” Norris if he does not forget the whole thing. Well, Norris pursues love and Elise anyway so measures must be taken. He is warned only the “Chairman” can intercede. Thompson “The Enforcer” (Michael the Archangel maybe?) is sent to up the stakes. All the while questions are raised over if the Chairman has a plan that must be followed, does Norris still have any free will? Does anyone? If he does not, and the plan of destiny must always be followed, then what is the point? Norris pursues the holes in the logic by passing through many doors—-both literally and spiritually. Bottom line, the religious and biblical analogies in this movies are both overwhelming and compelling. It raises the basic questions man has about God, destiny and free will that has plagued man since Moses contemplated his second wife. Bu it is all done in a very fun and provocative way. TMG liked it. I think most thinking adults will as well.